Many Nigerians on Wednesday expressed great excitement on the announcement of June 12 as the new Democracy day in honour of Chief Moshood Abiola. President Muhammadu Buhari, who made the announcement, noted that June 12 is a date which is more symbolic than May 29 or even October 1. He also conferred a posthumous GCFR award on MKO Abiola. In various tweets, many Nigerians described the declaration as a historic feat and a dream come true. They also believed that this is a step towards fostering peace and unity in Nigeria, adding that the June 12, 1993 election was one which Nigerians massively voted in fairness. The President in his announcement on Wednesday also noted that June 12, 1993, election was the freest, fairest and most peaceful election since Nigeria’s Independence. Thank you @MBuhari for doing what is right and just. June 12 should have been our Democracy Day all along. God bless you. Thank you for this one. Many of the people criticizing the naming of JUNE 12 as DEMOCRACY DAY, in replacement of MAY 29 were once clamoring for it. Buhari did it & the foster children of sorrow suddenly lost their sanity. You can’t hate your country, bcus you despise a leader. There was always a quest to make June 12 Democracy Day. The likes of Ogbeni Aregbesola pushed for that. So, surely, it is a welcome development. More important IMO than the GCON. I didn’t read the Kingibe part. That’s his business. The real democracy day at last when Nigerians were just citizens not Hausa, Yoruba or Igbo. Gani Fawehinmi to receive posthumous honour alongside Abiola and Kingibe on June 12, our new Democracy Day as announced by the federal government today. This is a commendable recognition. Declaring June 12 as Democracy Day has always been the right thing to do. 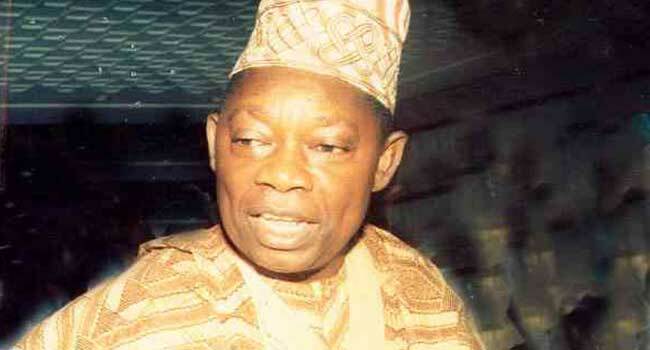 Chief MKO Abiola sacrificed it all for the Democracy we are currently practicing in this country. He was voted for by all. This feat is for us all, not Yorubas alone. June 12, now Democracy Day in Nigeria! The highest honour in the land. Few others, however, expressed mixed reaction as they described President Buhari’s action as politically motivated even as the 2019 elections is just around the corner. Declaring June 12 as New Democracy Day, I laughed because it really shows how desperate politicians are in Nigeria!!! Why did he not declare it immediately he came in? The president did the right thing but the timing of changing June 12 to democracy day might be politically motivated. Some added humour to their opinion with hilarious reactions. They also took a swipe at Former President Olusegun Obasanjo with funny memes.